Many investors like to see what kind of tax savings they can benefit from when they sell their investment property. This picture contains an example which outlines the sale of an apartment building and a purchase of an office building with and without the use of a 1031 Exchange. 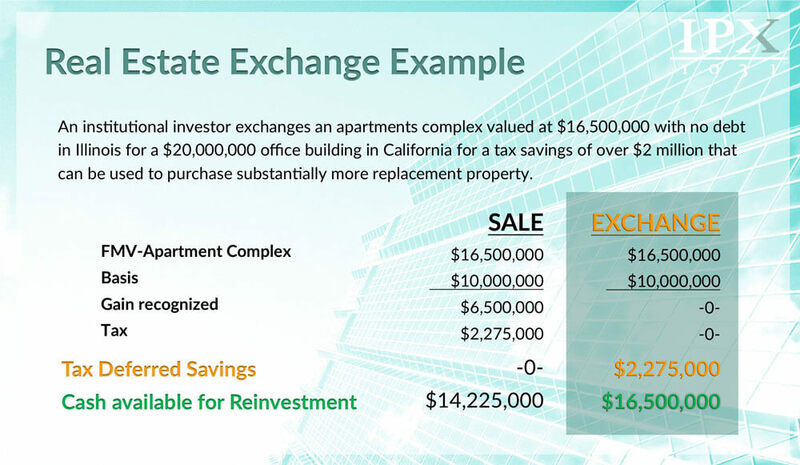 As you can see, when using the 1031 Exchange real estate, the investor benefits from a huge tax deferral. It’s like a “tax free loan from the government” when using a 1031 Exchange creating a stronger buyer position for the purchase.